Four story parking garage which includes a circuit of track, a car wash, car lift, elevator and petrol pumps. 2 cars included. Warning: Not suitable for children under 3 years due to small parts. Choking hazard…. This toy costs approximately £34.99 (for the latest and best prices make sure you check our retailer list for the Molto 4 Storey Parking Garage above). 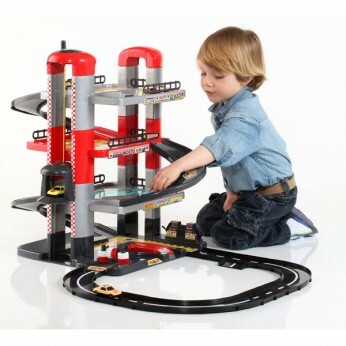 In our review of Molto 4 Storey Parking Garage we classed it as being suitable for ages 3 years, 4 years, 5 years but recommend you check the manufacturer specific advice before purchasing.